Mr. Reese, Puzzles, Enigmas, and Conundrums: Ready for Salt Lake Comic Con 2014! I think I'm ready for Comic Con! 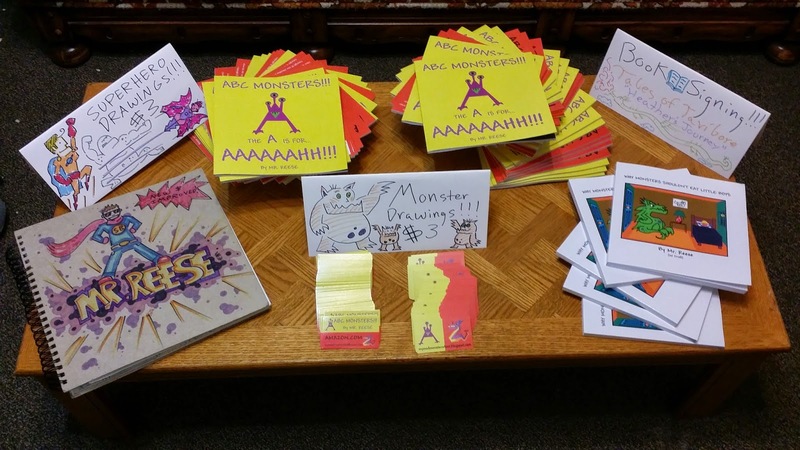 50 copies of the ABC Monsters! 500 business cards! 5 copies of The Monster And The Boy! Hand-drawn table tents and sketchbooks for drawings on demand!